Once you are on Agency or Enterprise plan you can start adding your colleagues to your team. For that find "Team" item under your account menu. 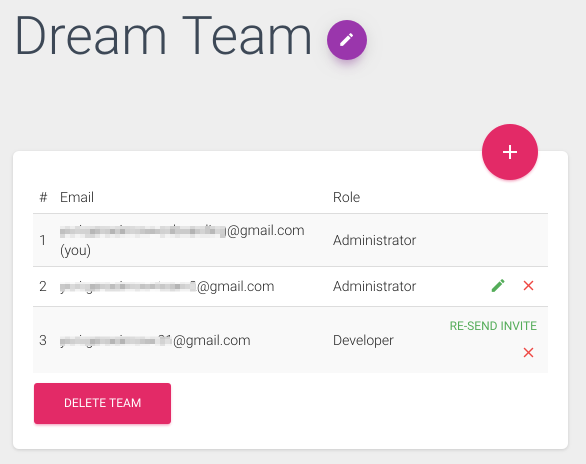 If you are an administrator you can start adding your team members. There are two roles: Administrator and Developer. 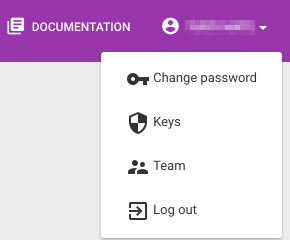 The difference is that Administrator can manage team members (can add/remove others) but Developer can't. You can send (re-send) invitations to your colleagues. Please note, that they will need to re-login in order for team membership to be applied.